In the second part of this comprehensive all-new two-volume military history of the Franco-Prussian War, the author continues his narrative from the fall of the Second Empire until the ending of the war, and the founding of a unified Germany. The war against the Government of National Defence presented quite different problems to von Moltke and his staff. 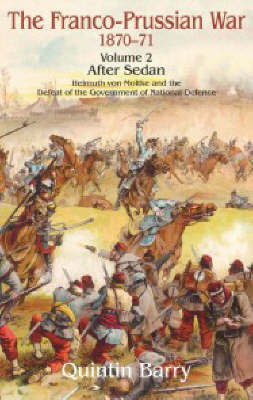 Although the Siege of Paris loomed large during the second phase of the war, the author fully explores events in other parts of France, including the siege of Strasbourg, the activities of the Francs Tireurs, the investment of Metz, and the battle against the French armies of the Loire, the North, and the East. The author has made full use of an extensive number of German and French language sources. His detailed text is accompanied by a number of black and white illustrations and newly drawn battle maps. Orders of battle are also provided.